Transjö Hytta is located in the village of Transjö, about 18 kilometers northeast of Lessebo. It is a glassworks which is specialized in the production of artistically designed objects. 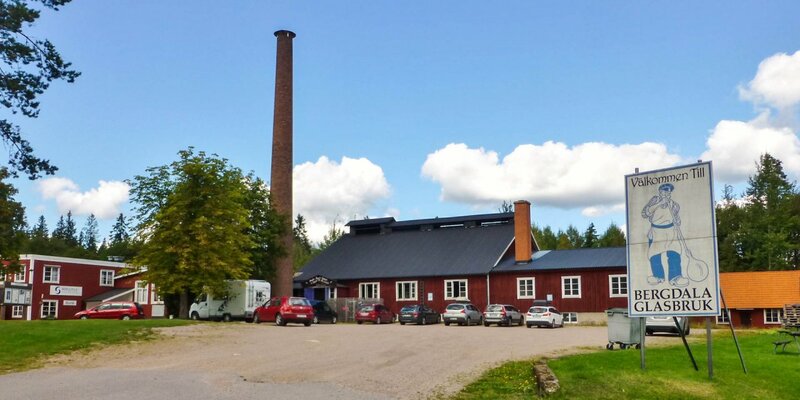 The small glassworks is located near the lake Transjön in idyllic location immediately at the river Lyckebyån. The property surrounding Transjö Hytta is decorated with all sorts of colored glass objects, particularly the small river is included in this composition. Artworks have been placed on the banks and above the river and their shapes and colors reflect in the water. The salesroom is set up in an old barn in front of the glassworks and houses unique treasures of modern glass art - like fireworks of various colors and shapes with different themes and styles trapped in glass. There are objects which are only decorative but also vases and bowls for example. High-priced unique items and small limited series at reasonable prices are on sale. But already the amazement about what can artistically be created with glass, is worth a visit. 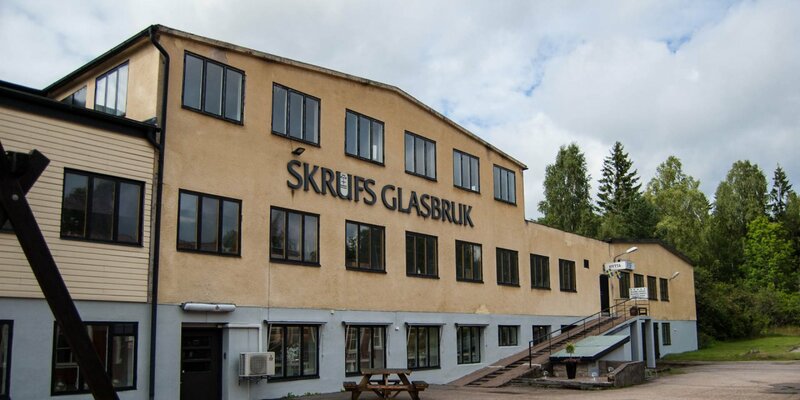 The glassworks was founded by the two glass masters Jan-Erik Ritzman and Sven-Åke Carlsson in 1982. 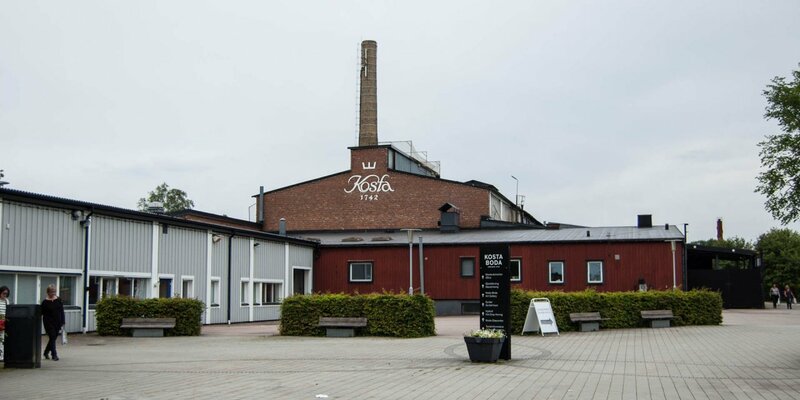 Both were previously employees of the glassworks Kosta Boda, which is world famous for their design and also the oldest glassworks in Sweden. 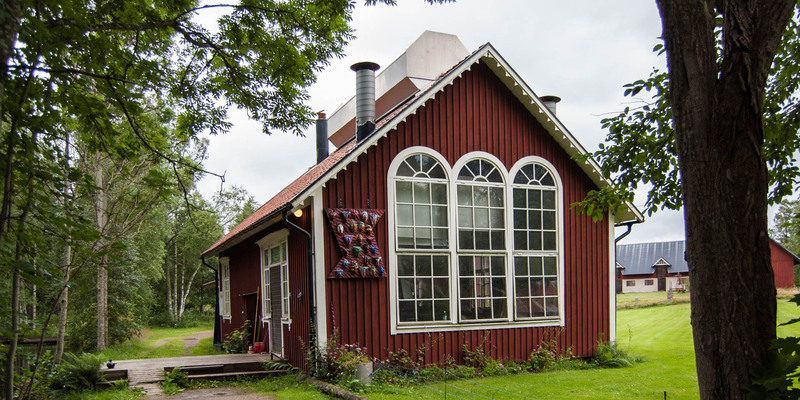 Transjö Hytta became a melting pot of arts and crafts. Since the beginning, guest artist work in the small glassworks. The two glass masters teach them the techniques of glass manufacturing and processing and support them with the realization of their ideas.